Make those scratches on wood furniture virtually disappear! Instant drying and waterproof ink. Chisel tip makes retouching easy. 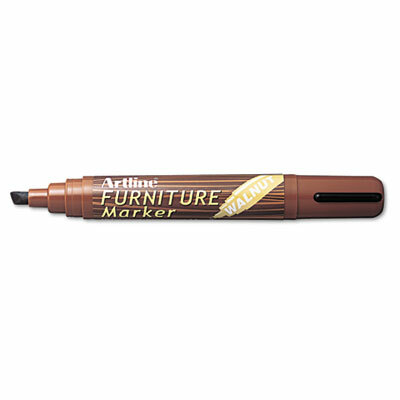 Includes walnut, maple, mahogany and oak markers. Make scratches on wood furniture and flooring virtually disappear! These instant-drying and waterproof inks are color-matched to four popular finishes; walnut, maple, mahogany, oak. 2.0-5.0 mm chisel tip makes retouching easy.